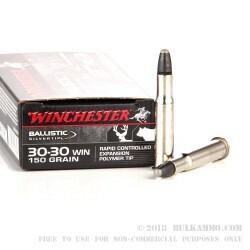 Grab a few 20-round boxes of this Winchester Silvertip ammo for your hunting and defense needs with a 30-30 carbine or rifle. 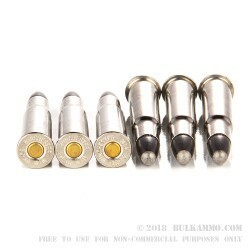 These cartridges provide excellent expansion to bring down game thanks to their polymer-tipped lead alloy bullet. Each round leaves the muzzle at a velocity of 2,390 feet per second, with a muzzle energy of 1,902 foot pounds. Definitely a great deer round for your 30-30! 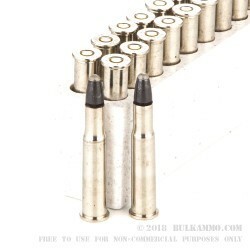 This top quality ammunition is manufactured in the US by Winchester using brass cases and non-corrosive Boxer primers. 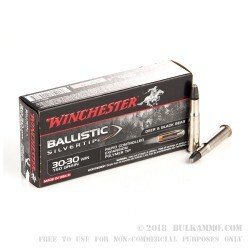 We've got everything you need from leading brands like Winchester in stock and in quantity at Bulkammo.com.